The Windy Cindy Showdown between the Chicago White Sox and Chicago Cubs will kick off a three game series of interleague play at the U.S. Cellular Field. The White Sox will look to cool off streaking Chicago Cubs teams who have won 12 of their last 13 games and six in a row. It’s been an interesting year for the Cubs as the services of new manager Joe Maddon has seemed to pay off, but despite being 16 games over .500, the Cubs find themselves in third place in a very strong NL Central division this season. The White Sox on the other hand is still trying to be relevant this year as they enter this series are four games under .500 and 13.5 games out of first in the AL Central. White Sox vs Cubs tickets for the Crosstown Classic series this weekend will be higher than usual at a combined average of $107.67 of all three games on the secondary market, a 33% above the average price for the remaining home games on the White Sox schedule which is $80.46. In the series opener this Friday, the right hander for the White Sox Jeff Samardzija (8-7, 4.62 ERA) is set to start against the Cubs, who’s been struggling this month, going for with a 0-2 record and a ERA over 15. This will be his first start against his former team as the Cubs will counter with Kyle Hendricks (6-5, 3.73 ERA) who struggle with consistency but has only allowed 14 runs in his past seven outings. Tickets for the series opener on Friday have an average price of $90.96 in the secondary market, with a get-in price of $29. 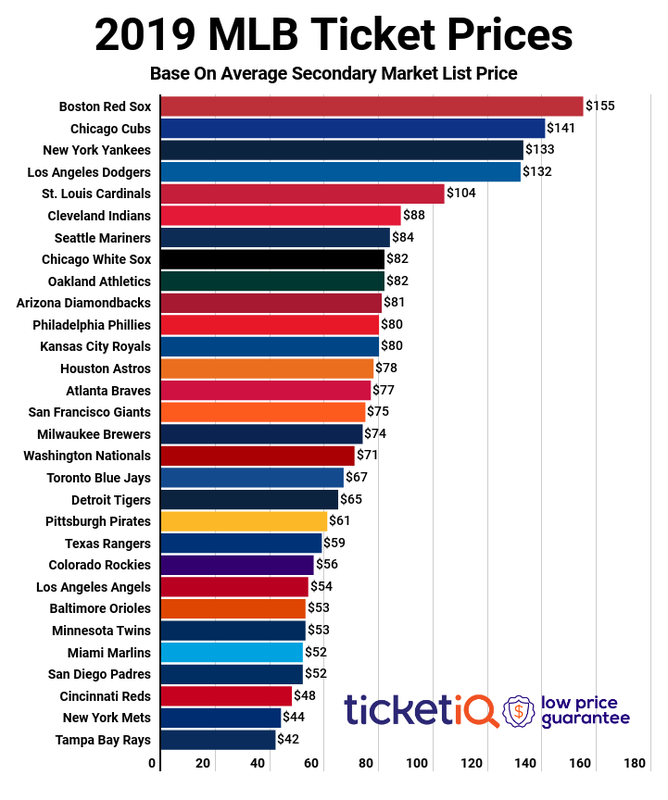 The second game of this series will see the most expensive White Sox tickets of the Crosstown series, up 35% from the series opener at an average price of $123.55 on the secondary market, with the cheapest seat priced at $45. Jake Arrieta ( 13-6, 2.38 ERA) has been lights out for the Cubs in his past ten starts as he will be against the White Sox left hander Jose Quintana (6-9, 3.59 ERA) who pitched very well in a loss the last time he matched up with Arrieta. In the series finale on Sunday, tickets will decrease by 11% at a secondary average price of $108.84, with a get in price of $33. The pitching matchup features Cubs right hander Dan Haren (8-7, 3.55 ERA) going up against White Sox left-hander Chris Sale (10-7, 3.47 ERA) who in his start against the Cubs earn a win at Wrigley Field last month striking out 10.